The Saint was developed for Matthew McGillivray. We paid attention to what Matt elaborated he needed out of a board. 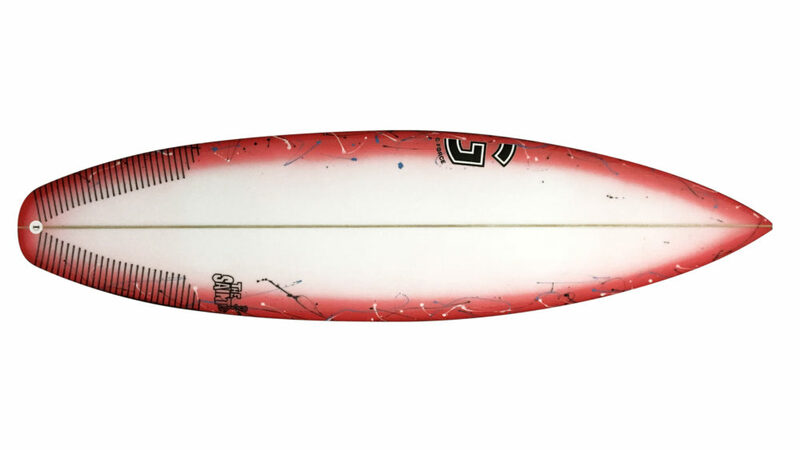 Developed for beach breaks, this board will allow you to surf in the pocket with ease. It has a tucked under rail which is crucial when engaging your turns, as this allows you to roll the rail over easier in and out of turns.